The German newspaper Bild gained access to a secret report by the German Ministry of the Interior. 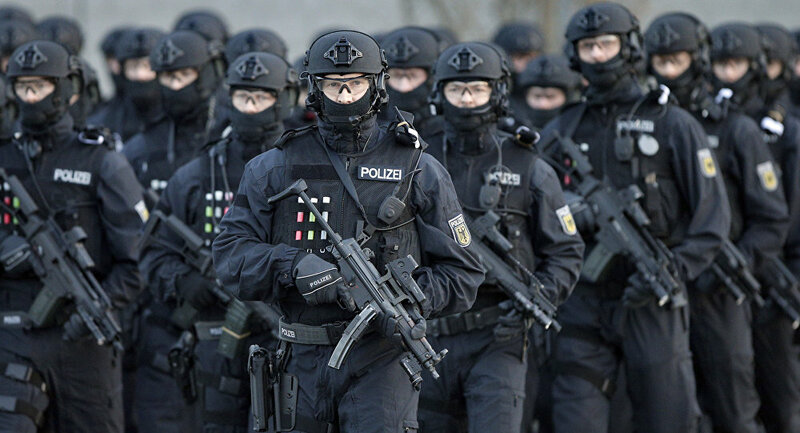 According to the document, the threat of terrorist attacks in Germany is estimated as very high. Attacks on civilians, civil facilities or the government can take place in Germany "at any time", the report said. The document, specifically, warned against attacks similar to those of Paris. On November 13, Daesh terrorists, attacked several venues across Paris. The attack left at least 130 people dead and over 360 injured. According to the Ministry's report, the attacks may be carried out against various target categories with terrorists using firearms, explosives and incendiary bombs. The report described them as "acts of violence against government and civilian facilities as well as civil servants and civilians." The document stated that the greatest danger comes from former fighters who waged war in Syria as a part of the Daesh terrorist group. Up to 850 Germans are said to have joined Daesh in the Middle East and 300 of them have reportedly returned, "ready to fight and completely brutalized." Germany is particularly expected to boost its security amid recent terrorist attacks in Istanbul. At least 10 German nationals were killed during an explosion that took place in Istanbul’s historical city center earlier this week. Turkish authorities called the incident a terrorist act and claimed that the attack was linked to the Daesh terrorist group, which is outlawed in several countries including Russia.